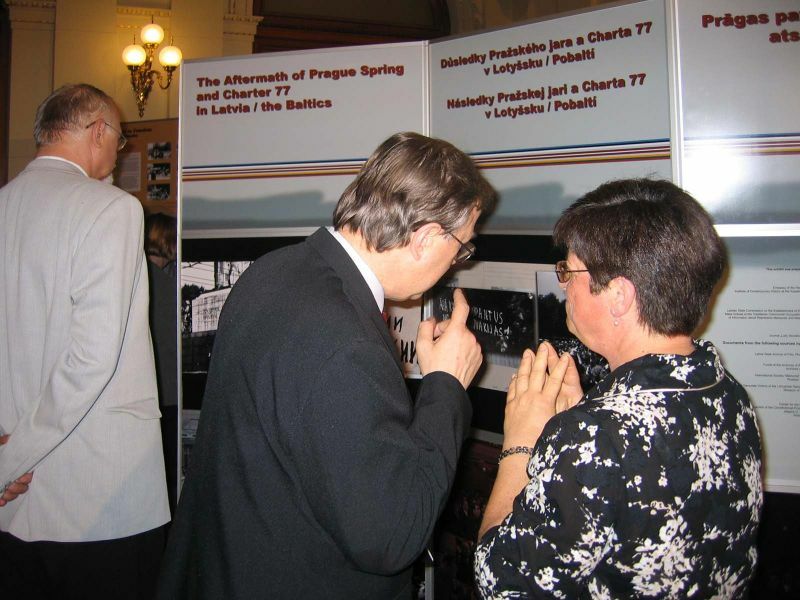 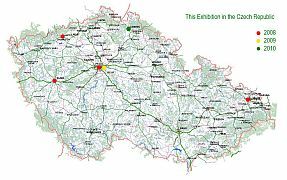 An exhibition “ The Aftermath of Prague Spring and Charter 77 in Latvia/the Baltics ” created by The State Archives of Latvia was opened on June 17, 2008 in the Academy of Sciences of Czech Republic. 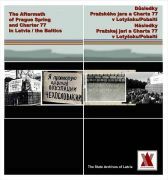 It was a part of an international conference “Prague Spring 1968. 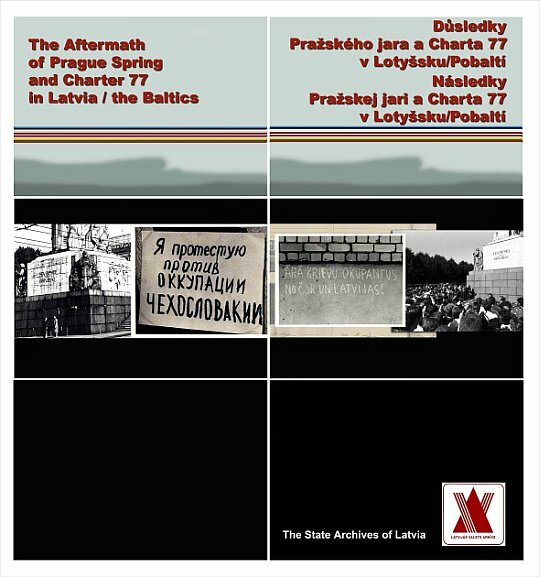 Society, the Mass Media, and the Transfer of Political and Cultural Processes” that was possible through cooperating the State Archives of Latvia, Embassy of the Republic of Latvia in Czech Republic, and Institute of Contemporary History of the Academy of Sciences of Czech Republic. 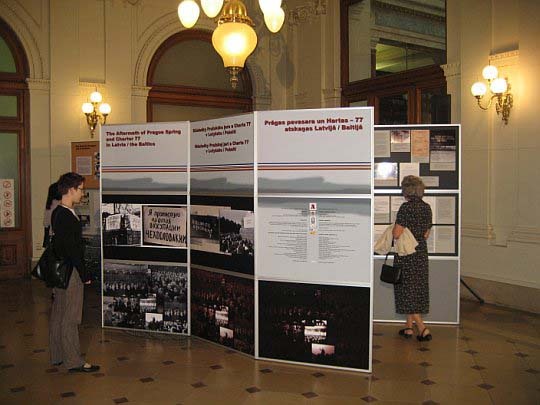 At the opening of the exhibition, the director of the State Archives of Latvia Ms. Daina Klavina stressed that a few things were known about the Aftermath of the Prague Spring in Latvia. 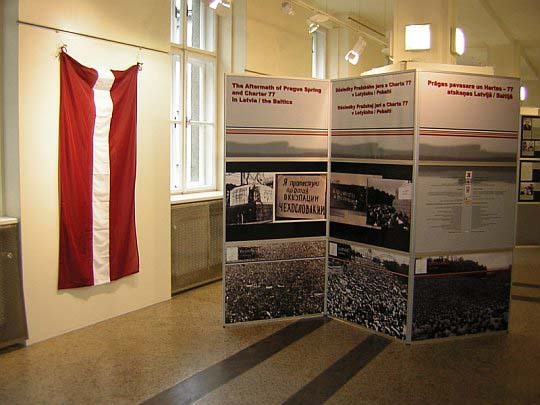 However after studying the archives, the authors of the exhibition found many documents witnessing the influence of Prague Spring in the Baltics. 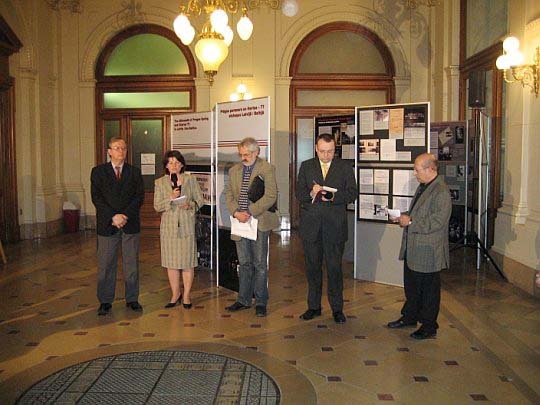 The head of the Latvian State Commission on Calculation of Losses Inflicted upon the Latvian State and Nation by USSR Totalitarian Occupation Regime Mr. Edmunds Stankevics (first from the left) gives a welcome address at the opening of exhibition “„The Aftermath of Prague Spring and Charter 77 in Latvia/ the Baltics ” in the Czech Academy of Sciences. 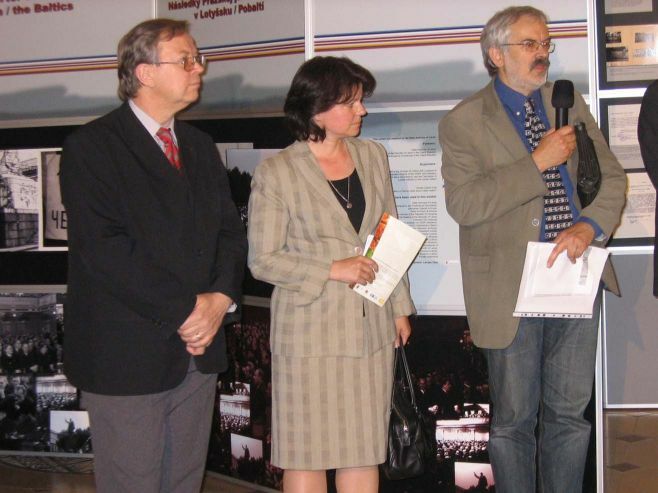 From the left: vice president of the Czech Academy of Sciences Jaroslav Panek, director of the State Archives of Latvia Daina Klavina, director of the Institute of contemporary History of the Czech Academy of Sciences Oldrzih Tuma. 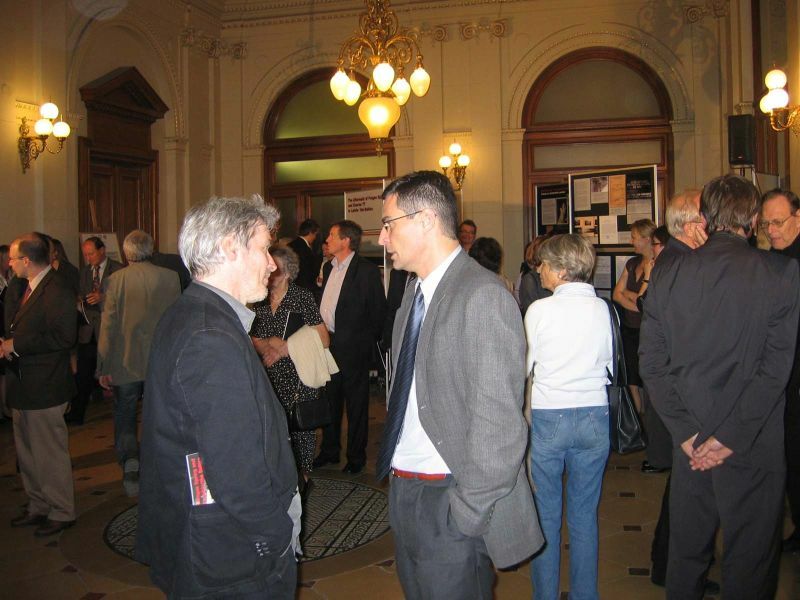 Exhibition opening in the Prague Academy of Sciences. 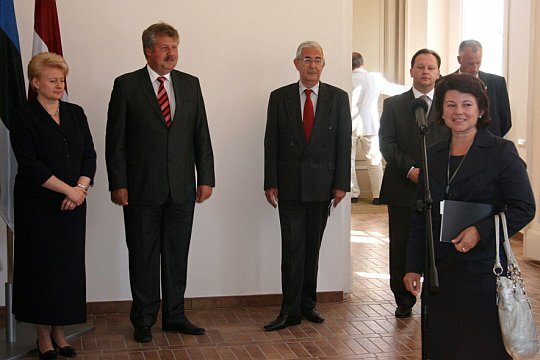 From the left: Professor Jaroslav Pánek, the ambassador of the Republic of Latvia, Argita Daudze, director of the Czech Institute of Contemporary History Oldřich Tůma, Pavel Štoll un Jiří Durman. 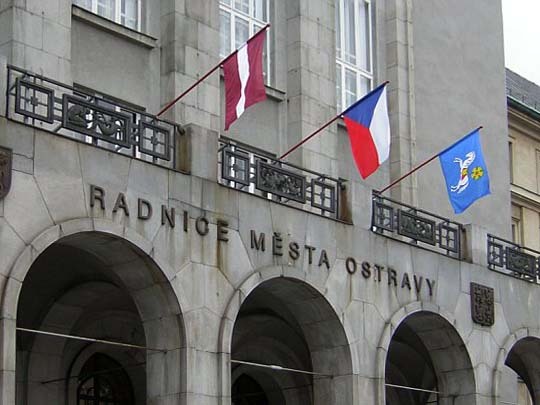 Photo provided by the Embassy of the Republic of Latvia in Czech Republic. 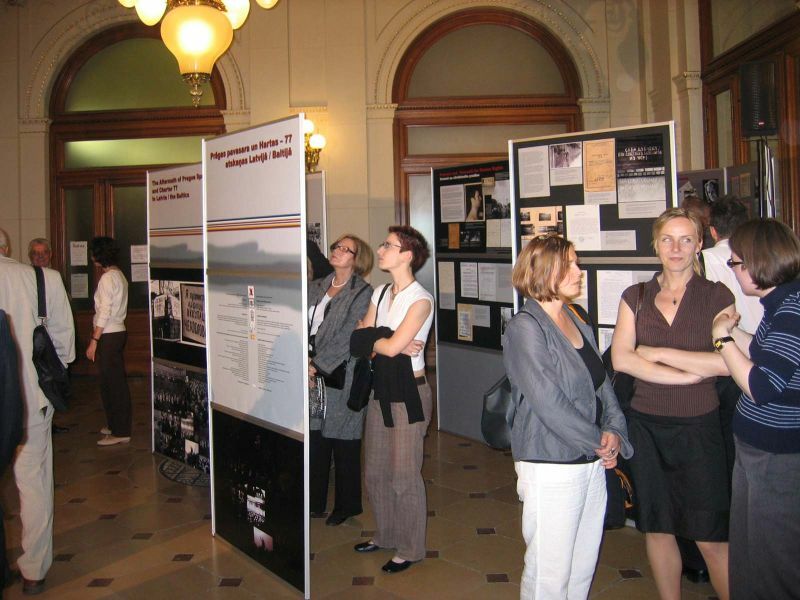 Exhibition opening in the Prague Academy of Sciences June 17, 2008. 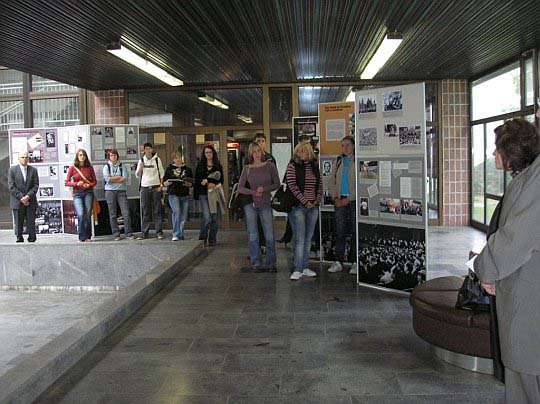 Exhibition opening. 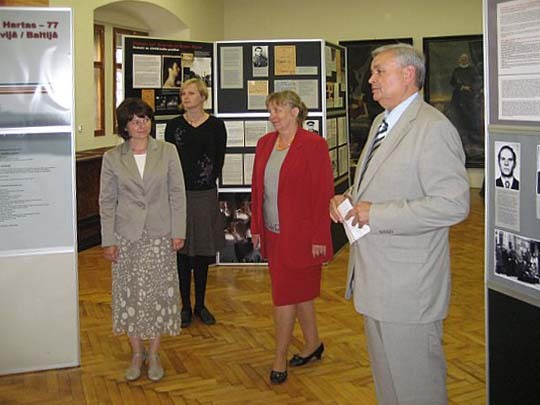 From the left: The ambassador of the Republic of Latvia, Argita Daudze, Helena Noskova, director of regional museum in Chomutov Stanislav Děd. 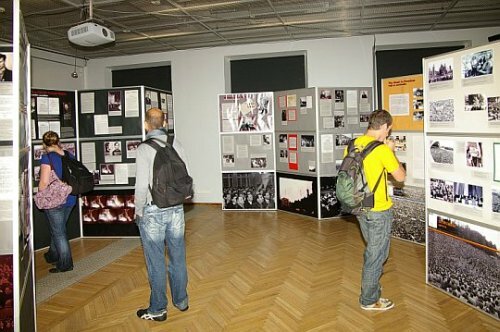 Exhibition opening. 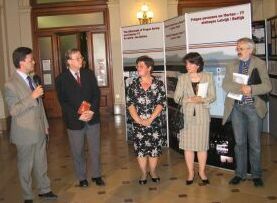 From the left: The ambassador of the Republic of Latvia, Argita Daudze and rector of the University of West Bohemia in Pilsen, doc. 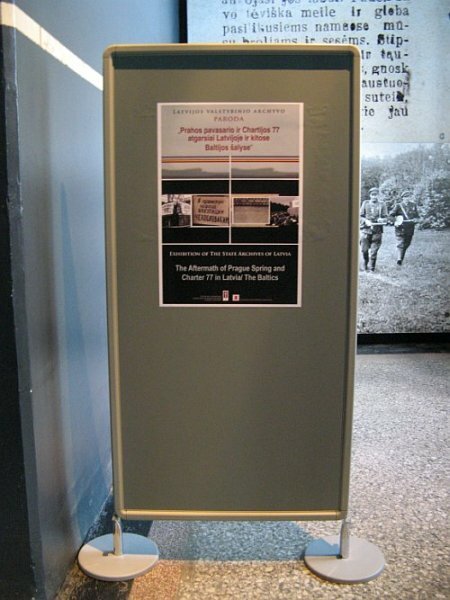 Ing. 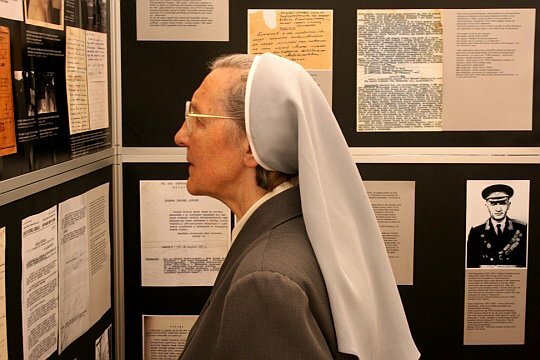 Josef Pruša, CSc. 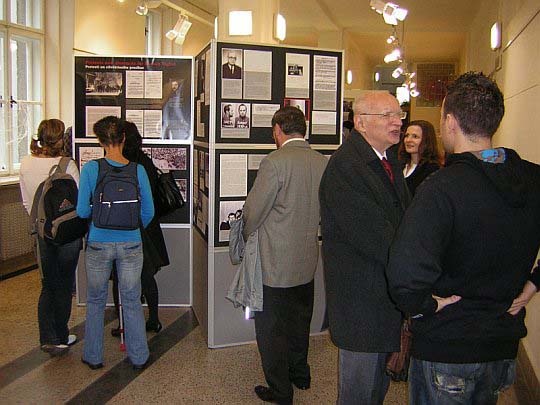 Exhibition Opening at the University of West Bohemia in Pilsen September 23, 2008. 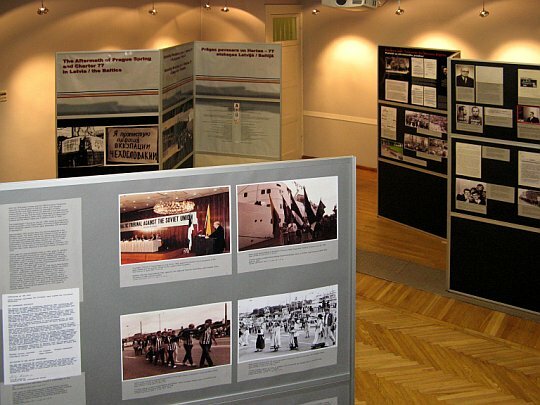 An exhibition “The Aftermath of Prague Spring and Charter 77 in Latvia/the Baltics” created by the State Archives of Latvia was opened on August 21, 2009 in Vilnius in the exhibition hall of Tuskulenai Peace Park Memorial of Lithuanian Genocide and Resistance Research Centre. 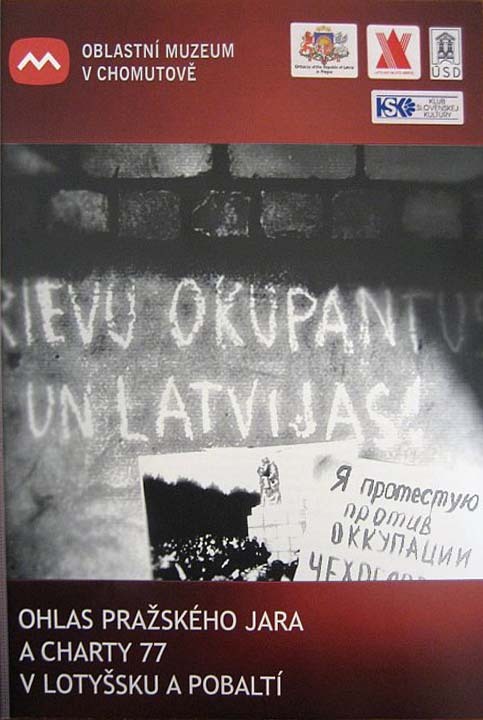 Simultaneously, there were events devoted to the remembrance of the Lithuanian National Partisans, 20th anniversary of the Via Baltica, as well as the 70th anniversary of Molotov- Ribbentrop pact. 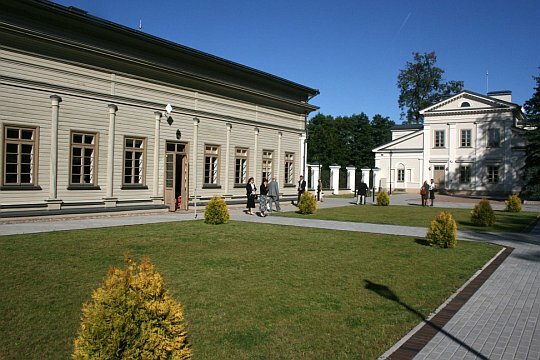 A speech was given by the Lithuanian President Dalia Grybauskaite at the opening ceremony of the exhibition. 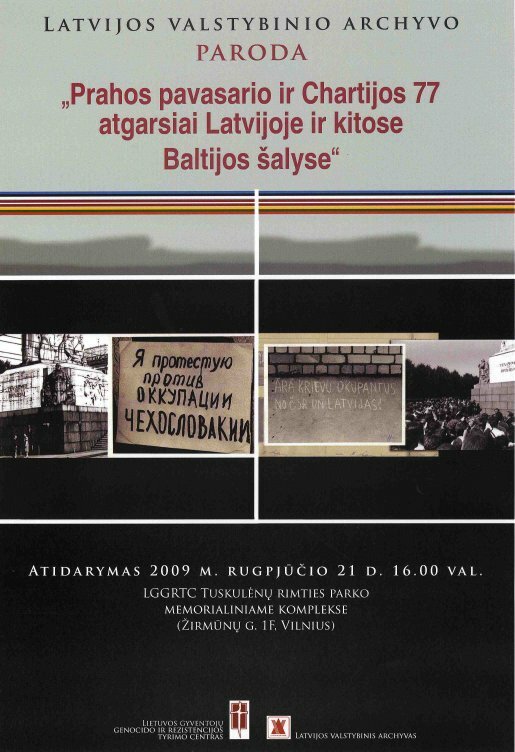 The event was opened with a speach of Birute Burauskaite, Director General of the Lithuanian Genocide and Resistance Center. 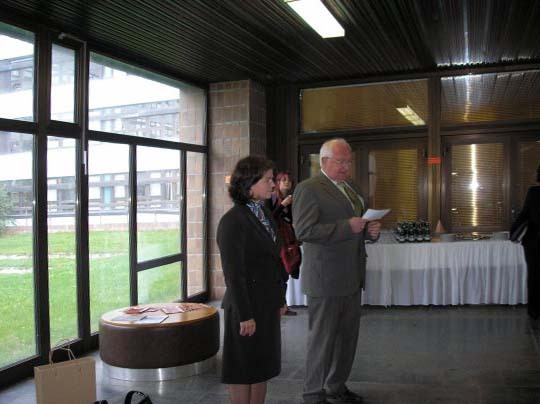 The welcome speech in Lithuanian was given by the ambassador of the Republic of Latvia in Lithuania, Hardijs Baumanis. 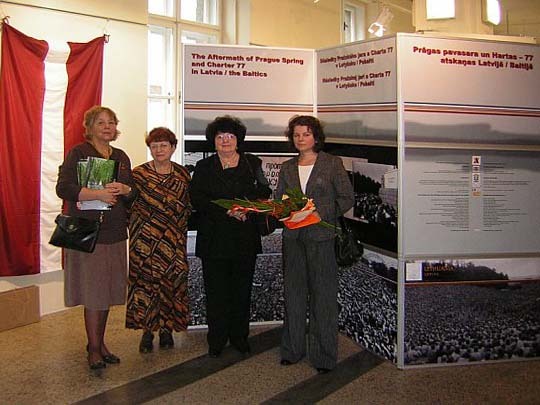 The ambassador of the Republic of Latvia in Czech Republic, Argita Daudze, and the author of the exhibition, Ritvars Jansons, guided a tour of the exhibition for the Lithuanian President Dalia Grybauskaite. 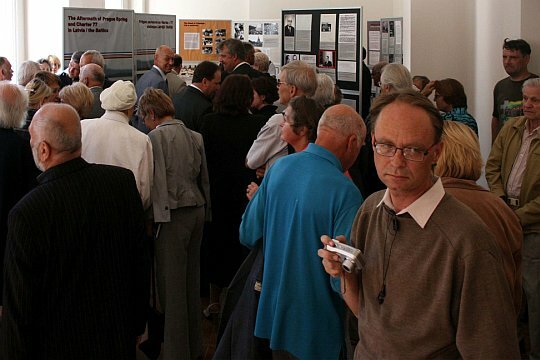 The exhibition opening was attended by the ambassador of the Czech Republic in Lithuania, Alojz Buhta, Lithuanian dissidents, who signed the Baltic Charter, and the employees of the Museum of Genocide Victims and many other. 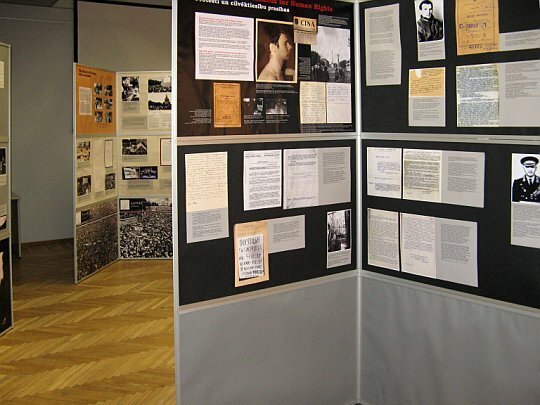 The State Archives of Latvia was represented by the exhibition authors Ritvars Jansons and Iveta Škinke and the exhibition designer Guntis Svitins.